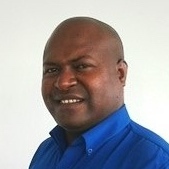 Mr Alfred Rungol was appointed Acting Manager for Measurement, Reporting and Verification (MRV) at Papua New Guinea Climate Change Development Authority in January 2016. He previously worked on REDD+ and climate change mitigation as a Senior Climate Change Mitigation and Low Carbon Growth Officer at the Papua New Guinea Office of Climate Change and Development. He also has experience researching anti-corruption measures in REDD+, and worked on forest governance integrity with Transparency International, where he was a member of the Board of Directors. He holds a Master of Science from Beijing Normal University and a Bachelor of Science from the PNG University of Technology.